An Australian man has truly won the raffle of a lifetime. In a generation where $49 can barely even buy a pair of decent jeans, a man known only as Joshua from New South Wales, Australia has won an entire island resort. Yes, really. Joshua was awarded the deed to a Micronesian island resort in Kosrae. There seems to be no catch, since the company's website says the resort is, "debt free, profitable and already fully staffed." The raffle drew more than 75,000 entries from around the world. People paid $49 each to enter the raffle, and the owners made nearly $3.7 million. According to raffle's host, wintheislandestates.com, anyone over 21-years-old at the time of purchase was eligible to enter with zero tax liability. 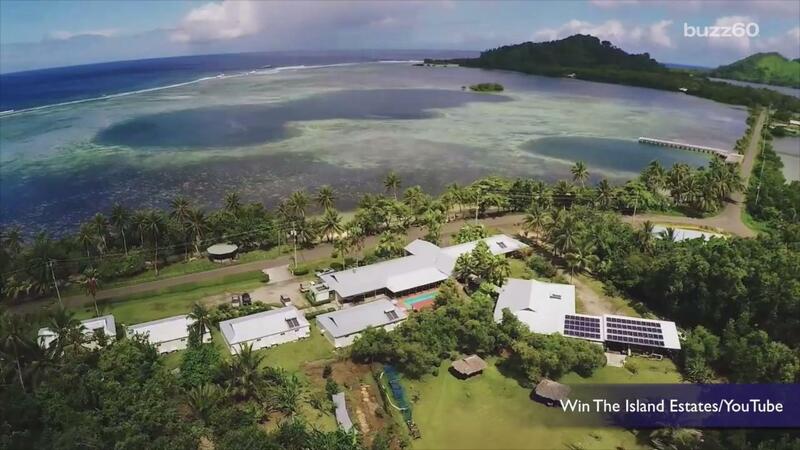 When the owners of the Kosrae Nautilus Resort were asked about their decision to raffle off the resort instead of selling it, they said they wanted to make the resort affordable for anyone. Since they decided to leave the resort behind in order to devote more time to family, the owners' hoped the resort would go to someone passionate about island life, not just someone with deep pockets. Even though you can't win the raffle yourself, you may want to consider booking one of the 16 available rooms. The prices range from $119 to $134 per night, which is a completely fair price. After all, with a deal like that, you can probably afford to splurge and fly to the resort first class!